Sometimes horror films are better political allegories than effective pieces of scary cinema. Mark Fraser revisits a Hammer Film Production from the 1960s which arguably falls into this category. Although it’s now over half a century old, Michael Carreras’ The Curse of the Mummy’s Tomb (1964) addresses a fundamental geopolitical issue which still plagues the world today – that being the West’s penchant for plundering foreign countries of their wealth. In this instance the plunderer is the United States, which relies heavily on the technical and logistical support of two imperialist European allies – England and France – to covert ancient treasures from a complicit Egypt. 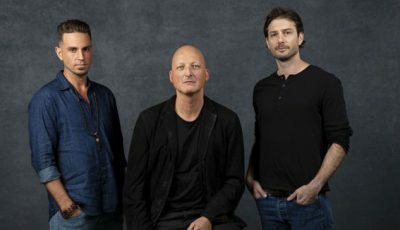 Set in 1900, the film is primarily about what happens when a brash American entrepreneur (Fred Clark) gets his hands on the mummified corpse of Pharaoh Ra-Antef in order to tour it as an elaborate sideshow instead of sticking it in a museum where it belongs – a ploy so crass and disrespectful that even the usually sycophantic Egyptians take umbrage to it. Naturally things don’t go to plan when The Mummy (a bandaged-covered Dickie Owen) does a King Kong and goes ape in London, where he wreaks havoc on all the Westerners who have desecrated his tomb. While it’s unlikely Carreras, who wrote The Curse of the Mummy’s Tomb under the pseudonym Henry Younger, intended the movie to be an overt political statement about colonial arrogance, this is how it all starts when it’s quickly made clear that there is a strong level of distrust between the First and Third worlds – an uneasy tension which permeates the rest of the picture in one form or another. This becomes apparent during the film’s first 10 minutes when a stretcher carrying the body of the just-murdered French Professor Eugene Dubios (Bernard Rebel) is accidently dropped to the floor by an Egyptian labourer*, causing English Egyptologist John Bray (Ronald Howard) to strike the local for his supposed insolence. “You’ve given us nothing,” Bray manages to hit back before he is cut short by expedition leader Sir Giles Dalrymple (Jack Gwillim), who suggests such outbursts are disrespectful to the dead. Of course the story’s overwhelming sense of wariness between the various participants does not stop there. Although appearing to be OK with the Egyptians, Sir Giles becomes highly skeptical of his financier – the outspoken American promoter Alexander King (Clark) – once the plan to take the mummy on tour, rather than preserve it as a piece of cultural heritage in a respectable venue, is revealed. 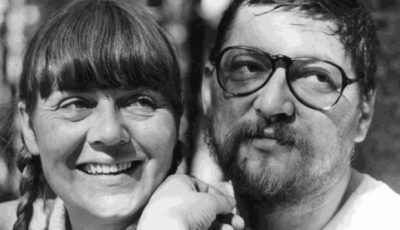 Unable to reconcile himself with his benefactor’s commercial aspirations, the Englishman steps aside as leader of the project, handing the reigns to Bray who, along with his fiancée (and daughter of the late Prof Dubios) Annette (Jeanne Roland), seems to be more in tune with King’s entertainment ambitions. 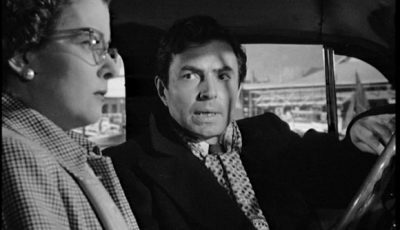 But the couple’s relationship later becomes somewhat cursed with the arrival of Adam Beauchamp (Terence Morgan) on the scene. A filthy rich Londoner with a handy pair of fists and passing interest in the arts, the enigmatic Beauchamp starts raising eyebrows when he displays a knowledge of history that goes way beyond the amateur. The fact he then manages to steal Annette away from Bray merely adds further complications. It’s in this environment of distrust that the melodrama unfolds as the heavy breathing (but otherwise silent) mummy seeks revenge on those who have wronged it, while the potential victims – as well as the local constabulary as represented by Inspector Mackenzie (John Paul) – try to unravel what is going on around them. Despite being a Hammer film, The Curse of The Mummy’s Tomb is kind of dry and a bit too crisp – regardless of the fact it contains some moments of quite harsh violence (hands are cut off, heads are bludgeoned with statuettes and crushed underfoot, while a fight on a ship between Beauchamp and an unnamed assassin, played by Ray Austin, during the film’s first half is well staged). Although shot in the wonderful wide-screen format of Techniscope (by Otto Heller), the sets are either straight-down-the-line or blandly ornate. 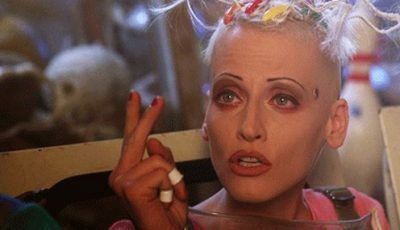 As a result, the movie does not contain the bogus sense of eeriness found in the other gothic horror works the company made around the same time. Moreover, The Curse of the Mummy’s Tomb not only lacks a decent lead, but also a real hero. Being pretty close to middle-aged, the gentile Bray simply doesn’t cut it as a dashing or romantic figure; rather, he comes across as a semi-idle bourgeois guy who solves the riddle and – at one lucky stage – is inexplicably ignored by the bandaged monster (in Sir Giles’ study) as it conducts its murderous revenge campaign. Admittedly his eventual nemesis, the far more handsome Beauchamp, is allowed to get all Shakespearian when he finally reveals his true identity to Annette. However, as an anti-hero that is prone to sudden mood swings, he ends up being the real villain of the piece. As for King, who provides the film with its most charismatic performance, he ultimately remains rather one dimensional as the fast talking Yank with a generous streak – a man so confident of his money-making abilities that he describes the Egyptian’s offer of £120,000 to buy The Mummy and its sarcophagus back as “chickenfeed” while, at the same time, handing out coin tips to the English working class stiffs around him. Looking for unintentional subtext in a movie if it is not necessarily there can be problematic – particularly when it comes to the horror genre, where a number of interpretations for any given work can always be put forward. It is arguable, though, that an exception can be made for The Curse of the Mummy’s Tomb, in which an anti-colonial message seeps through from start to finish. While it’s easy to carp on about the fact the film has no real hero, perhaps it should also be acknowledged that this seems to be one of movie’s main points – that the desecrators of Prince Ra-Antef’s tomb are in fact a horrible bunch of people who really do deserve the fate which is eventually bestowed upon them. Although he is likeable in his own way, it’s no surprise King eventually finds himself somewhere at the bottom of the Thames given he has absolutely no respect for the antiquities he has plundered. Meanwhile Sir Giles’ decent into alcoholism – which concludes when his skull is bashed in by The Mummy – is the result of a well-intentioned career based on grave robbing. Even Bey, who ends up being the most contrite when coming to grips with the wrongs he has helped perpetrate against his national heritage, can’t avoid paying the price for his traitorous sins. And though Bray and Annette survive the walking corpse’s wrath, it’s more than likely their relationship doesn’t. In the end they, too, are losers. Oddly, the only character who comes out of the movie with any sense of real dignity is The Mummy which – in a conscious act of self-sacrifice – eventually kills itself in a London sewer. No doubt Prince Ra-Antef didn’t want to spend his afterlife dealing with a greedy bunch of Anglo thieves. *Despite repeated viewings and some token research, this reviewer was unable to properly identify this extra. 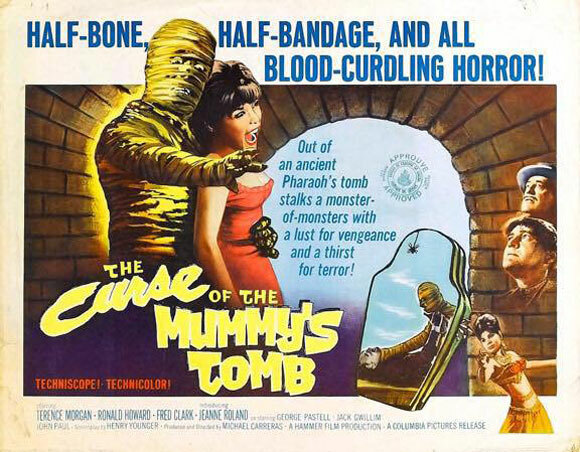 Top 10 Films reviewed The Curse Of The Mummy’s Tomb on Blu-ray courtesy of Powerhouse Films. 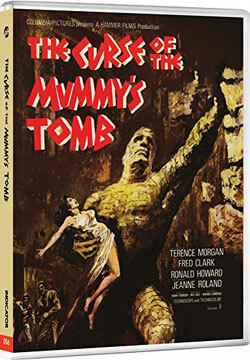 The Curse Of The Mummy’s Tomb was released as part of the HAMMER VOLUME ONE: FEAR WARNING! limited edition Blu-ray box set on Oct 30, 2017.